Abies concolor 'Černošice' is a broadly globose, squatty dwarf selection of White fir with short, thick, gray-Blue needles. 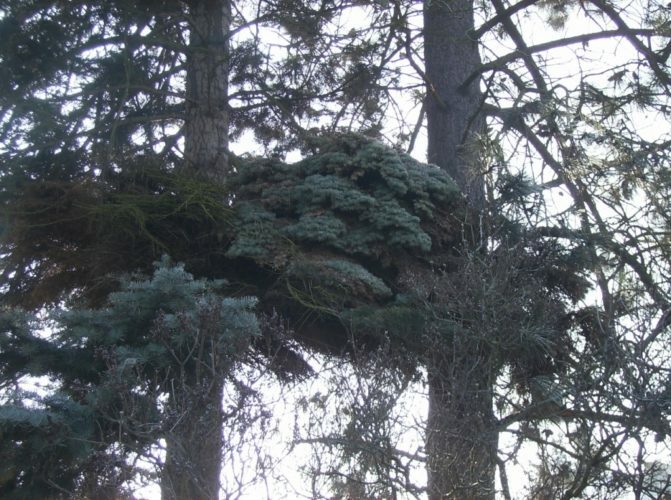 After 10 years in the garden, a mature plant will measure 18 inches (45 cm) tall and somewhat wider, suggesting an annual rate of growth of 1.2 to 3 inches (3 - 5 cm) per year. This cultivar originated in 1988 as a witch's broom found by Mr. First of Czech Republic. The plant is named for the town in the Central Bohemian Region, Czech Republic where he found the original broom. It should be noted that there may be up to four witch's broom cultivars with this name or variations of it. It's not likely to discern which one may be which. 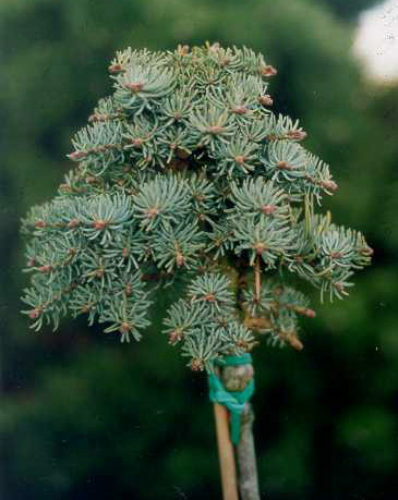 Abies concolor 'Černošice' — a young plant grafted high on a standard. Abies concolor 'Černošice' — the original broom in Czech Republic.